Straight after the ball in the senior block had to get ready for the skip off. The students that were entered in the senior skip off had to face each other. When it got up to the final three everyone was exicted to see who would come third, second and first. 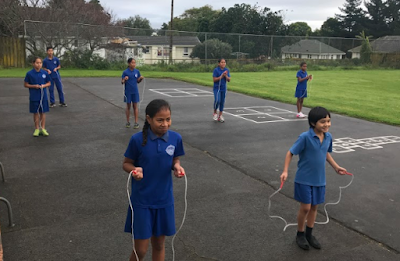 In third place was Meana from room 12 then Fakaola from room 10 which is my class and in first place it was Kotipi from room 9. At the end they all had to go and take a photo for our first, second and third places.